Tag Heuer is bumping up its smartwatch production to meet retailer demands. The company has also decided to suspend its online sales and give preference to physical stores instead. The company will be revamping the production of its Connected smartwatch from 1,200 to 2,000 pieces per week in the coming months, said Jean-Claude Biver, CEO Tag Heuer to Bloomberg. The company apparently got requests for some 100,000 timepieces from retailers, agents, and subsidiaries – significantly more than what was anticipated. He added that the online sales of the smartwatch will be suspended until May or June in order to boost physical retail store sales. Furthermore, Biver said the company “will develop a collection made out of different varieties, executions and materials at the end of next year or beginning of 2017.” The collection will also include Gold and Diamond set version. 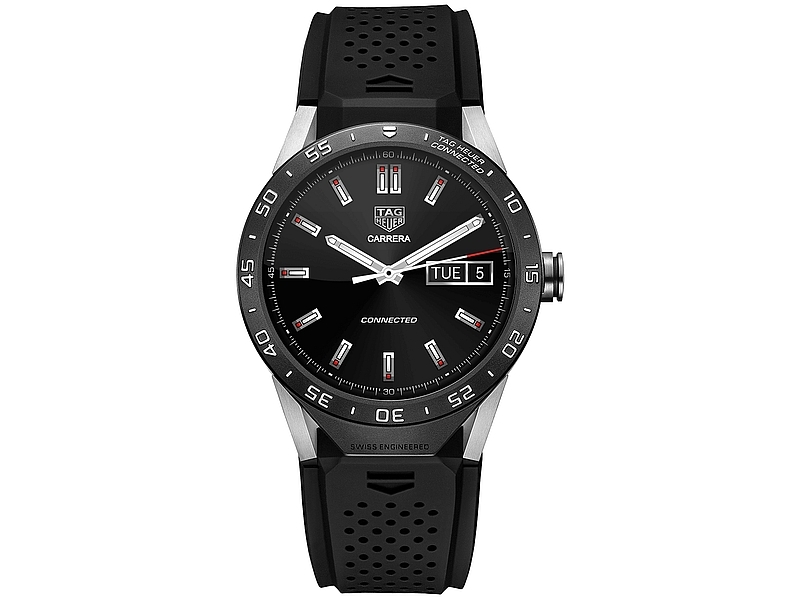 Tag Heuer last month unveiled its Android Wear powered smartwatch ‘Connected’ in New York. Tag Heuer CEO Jean-Claude Biver said his company has been building mechanical watches for 155 years but knew little about building an Internet-connected device that younger buyers would want. So it partnered with Intel and Google in what he calls the “marriage of Watch Valley and Silicon Valley.” The Tag Heuer Connected adopted the company’s Carrera Calibre mechanical design and uses premium materials, including titanium lugs and a scratch-resistant sapphire crystal screen. Straps come in a choice of seven colors. The Connected Android Wear smartwatch sports a 1.5-inch LCD touchscreen with a resolution of 360×360 pixels and comes with a pixel density of 240ppi. It packs a 410mAh battery which the company touts can deliver up to 25 hours battery life based on typical usage. Under the hood, the smartwatch is powered by a 1.6GHz dual-core processor paired with 1GB of RAM. It comes with 4GB of inbuilt storage and comes with gyroscope, tilt detection sensor as well as microphone.